My main role at Hubstaff revolves around social media; content, engagement, interactions, and promotion. All of these together have historically taken me around three hours a day, give or take whatever other tasks fall onto my plate along the way. Managing Twitter alone used to take 10 to 15 minutes a day; taking a look at who has mentioned us, sending “likes” their way, and making sure all customer questions got answered or to the right place. Today, Twitter management takes me as long as an hour a day, 4x as much time as it used to. The most interesting part of this growth is that it’s a good thing. In a culture where speed, automation, and efficiency is valued above so much else, I’m here to share why I’m glad managing Twitter is taking longer than it used to. As you can see, it’s standard and follows a formula. This is the checklist that I ran through every weekday morning like clockwork, and then the rest of the day focused on other things. I had a “set it and forget it” mentality, especially with useful scheduling tools like Buffer. However, I wasn’t seeing the metrics I wanted. Some weeks we would get great engagement and other weeks it would go down. Social media has a nature of fluctuation and trends, but I wanted something I could rely on a little more. After observing our social media results for a little while, and learning that automation isn’t necessarily the answer from Mojca Mars, we decided to focus more efforts into our Twitter account. In addition to Mention.net, which covers mentions from all around the web, I set up a Notify account that sends me all the Tweets that mention Hubstaff. This has been one of the most vital tools in my social media toolkit, not the least because it works very well. Tweets don’t even have to mention “Hubstaff” to get on my radar; even if a Tweet contains a Hubstaff URL (disguised with a link shortener), I’ll still get the notification. I started reading each mention, then replying with a quick ‘thank you.’ After a while, I noticed our engagement rates going up (largely thanks to people ‘liking’ the thank yous I sent). So then I began to look at each person’s profile before sending thanks. If there was something that caught my eye, I’d add it to my reply. Here’s where the ball got rolling. Many of the interactions I have on Twitter now are familiar faces (or brands), and I’ve even been able to collaborate on content with some of them. 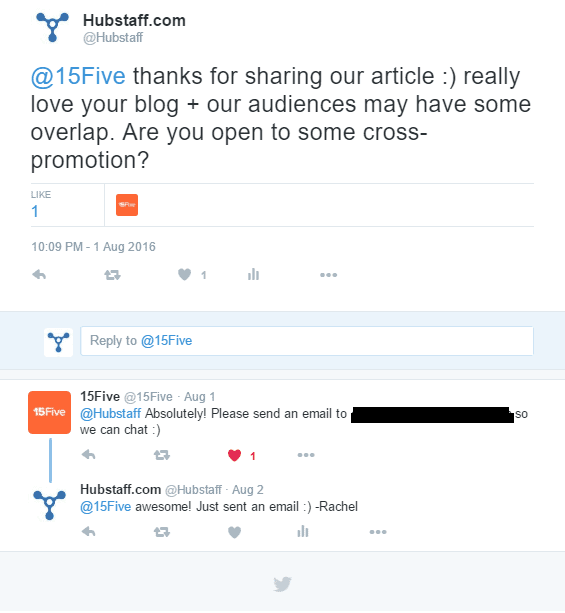 This guest post on 15Five came from the Twitter interaction below and iDoneThis added our infographic to one of their articles after we got to know each other on Twitter. I still see and like their stuff on my newsfeed, and we all love each other’s blogs and share them regularly. 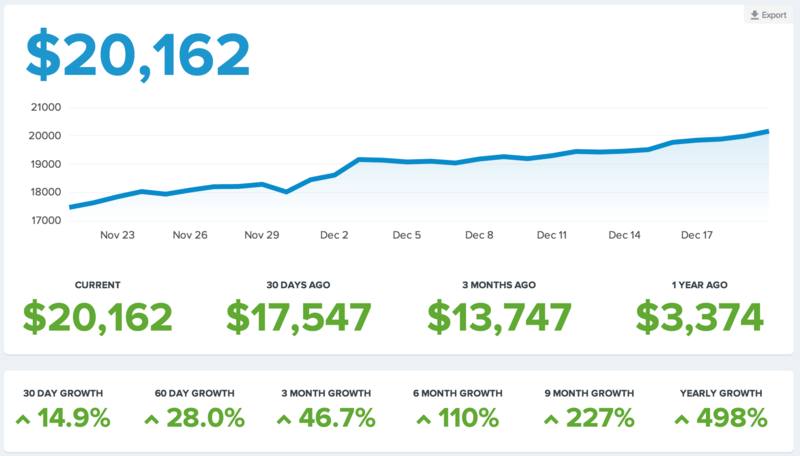 Our growth doesn’t fluctuate so badly anymore, and I see a steady improvement in our stats from Buffer, Facebook, and Cyfe. This was our Twitter report from the first week of August. 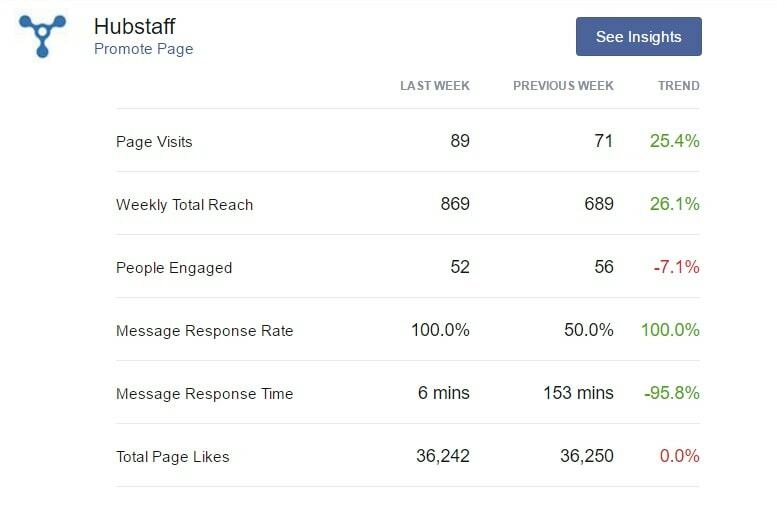 Even our Facebook stats went up! This is from the second week of August. I used Hubstaff to track all the time that I spent on our social media tasks (mostly Twitter), and my reports show that I spent an average of two hours on social media tasks a week in January, and four hours in August. The four hours doesn’t include the time it took to write guest blogs from social media leads since they are classified under a different task. 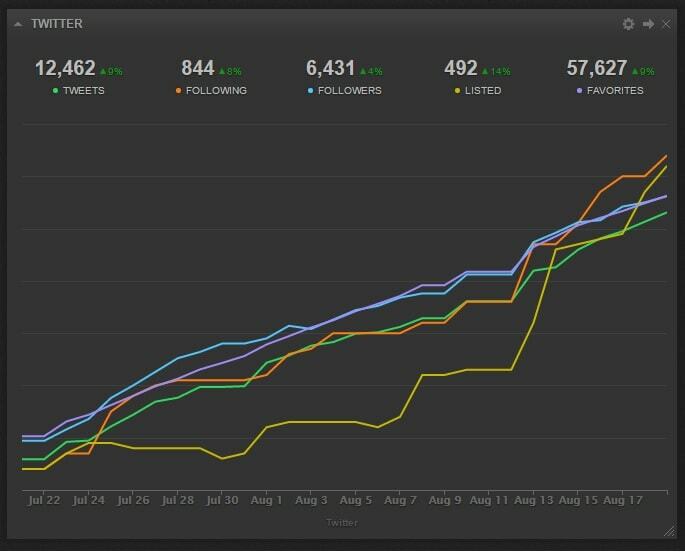 I use Cyfe to give me a quick overview of how our Twitter is doing, which no longer fluctuates up and down so much. I see a steady growth in followers and lists that we are a part of. 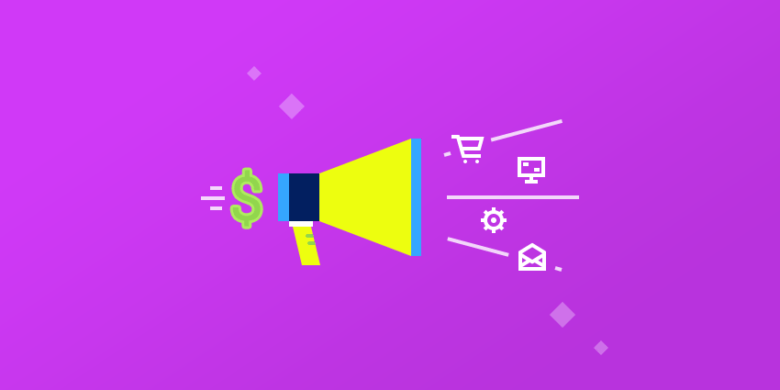 That extra time spent on Twitter has also opened up doors for increased engagement, guest blog opportunities, and overall great partnerships. In fact, once I publish this blog, I plan to reach out to a lot of the connections I’ve made on Twitter to get their feedback. Overall, spending more time on Twitter has been valuable in expanding Hubstaff’s network (it also was great for our social media stats and SEO thanks to the guest blogs). Our aim is to add value to our network and I noticed that a lot of awesome connections I’ve made on Twitter try to do the same! 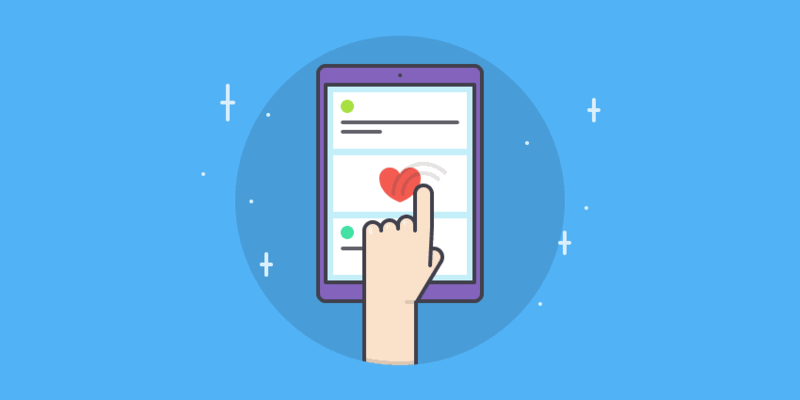 Social media has made it easy for us to connect with brands we like, individuals we respect, and teams we admire to see what we can do for them. That’s the value of networking on social media, and that’s where I see my returns. 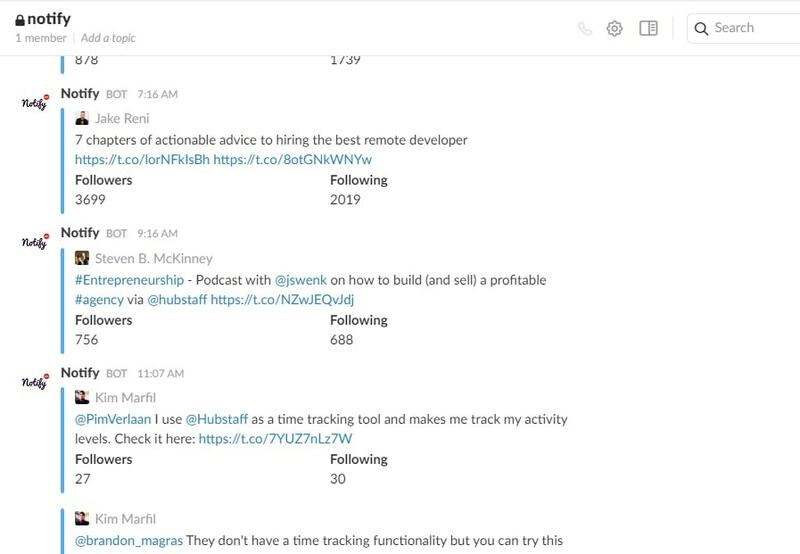 Let us know about your experience with Twitter management – what works, what doesn’t? Use the comments section below.